I’d like to give a big thank you to Catherine Gardiner for taking the time to submit her debut novel to The Novel-List. Katrina Harvey has just enrolled into the senior class of Sycamore Heights High along with her foster sister, Jessica Sinclair. Unfortunately Katrina is no ordinary enrollee as ten months previously she was brutally attacked and has been left with amnesia. Almost a year after those horrific events took place Katrina is being stalked by someone, or something, who doesn’t want her to remember her past and will do anything to keep it that way. Moving to a new town is never easy, as Suzanne Harvey is well aware, but focused on finding her older sister, Katrina, fate has led her to Sycamore Heights. Now, as Suzanne gets closer to revealing secrets from the past, someone from the present doesn’t like what she could unearth, even if that means they drive her to the brink of insanity to keep the secrets forgotten. Catherine Gardiner was born and raised next to rolling green meadows in Yorkshire, England where she resides with her beloved border collie. When she is not writing she is either researching for her upcoming novels, taking photographs, cooking or going for long leisurely walks along a nearby river. She first conceived the idea for her novels when she was doing a creative writing course in college and had to walk home alone through a wood where she often imagined what might be in the shadows. She also thinks her love of writing and her passion for all things creative is due to her Irish roots. Please Note: Free in the US, UK, Germany, and France, to Prime Members. 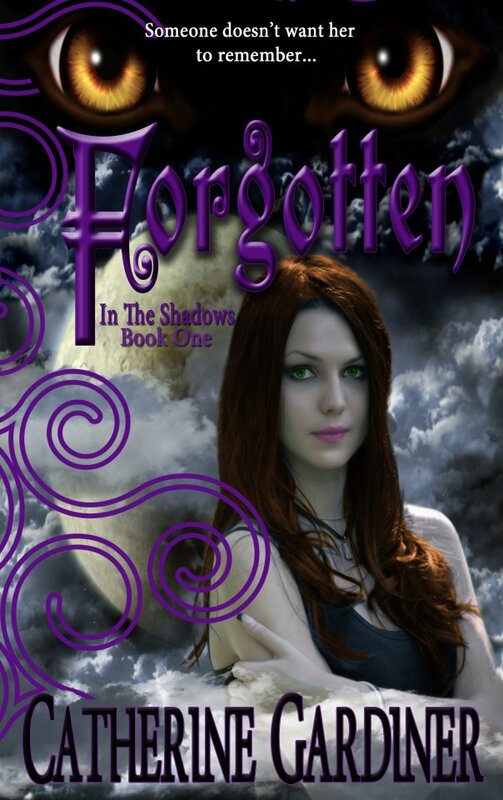 Posted in Paranormal, Young Adult and tagged authors, Catherine Gardiner, ebooks, Forgotten (In The Shadows: Book One), Kindle, Paranormal, Series, sisters, vampire, werewolf, Young Adult. Bookmark the permalink.